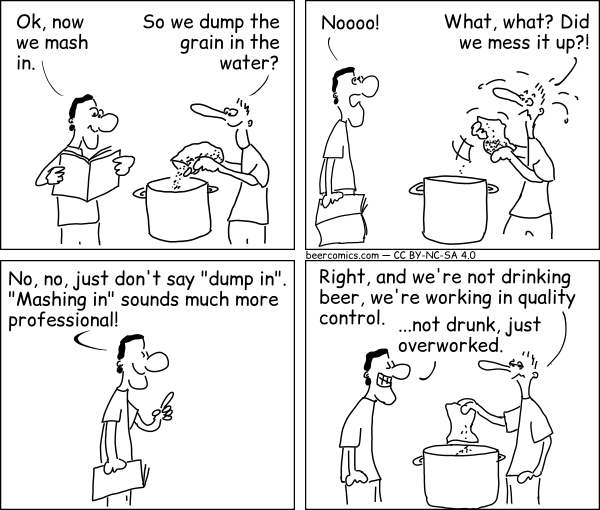 Max: Right, and we're not drinking beer, we're working in quality control. Paul: ...not drunk, just overworked. Terminology by Robert Wenner is licensed under a Creative Commons Attribution - NonCommercial - ShareAlike 4.0 International License. Permissions beyond the scope of this license may be available upon request at https://beercomics.com/imprint.html.